An irregular marriage is a new term that I have come across in the last few weeks. I was curious of what ”irregular” meant. I found that today we would call it a ”de facto” marriage/relationship. It’s funny how old things become new. The idea of ”living in sin” is certainly not new. The Scottish enjoyed irregular marriages up to 1939 and many English people snuck away into Scotland to enjoy their own irregular marriage. I think the practice of irregular marriages really fit into the Scottish way of life; Scottish people don’t want to be told what to do and they aren’t silly on spending money. At the heart of an irregular marriage is mutual consent. A regular marriage involved the banns being read three consecutive weekends at church and a getting a license. An irregular marriage wasn’t like that. An irregular marriage was with a mutual agreement and couples presented themselves as husband and wife. Couples would make a public promise of commitment or a written oath to their partner. This took away some of the church’s power of the marriage being a religious sacrament and it was disapproved of by the church. At first there was no need to register with the local parish church, however rules come in that a couple would be fined if found to have an irregular marriage. Many couples did not mind this though, as it was cheaper to go to the local sheriff and pay the fine to register the marriage then to have a traditional marriage ceremony. At it’s highest rate, Scottish irregular marriages were around 12% of marriage in 1914. However this rate may have been higher as many English couples went to Scotland after 1753 when irregular/clandestine marriages were banned. A minimum age and parental consent was needed in England that wasn’t needed in Scotland, so many English jumped over the border to towns like Gretna Green to get married. It was in 1939, that irregular marriages stopped in Scotland. With World War One, it become a need to regularise marriages to prove inheritance and widows pensions. Also registry offices opened to serve the needs of registering the marriage without the fuss of a wedding. The National records of Scotland holds some irregular marriage information, on their website they have a pamphlet that gives the contact details of local society’s that may have more specific records. At the time of the marriage records may have been kept by priests and the couples, however it’s the kirk sessions where couples come before their local parish church that are the most kept records of an irregular marriage. With the birth of the first child meant paperwork would become an important part of legitimising the birth and registration generally happened hastily around that time. Kirk sessions like the South Leif kirk sessions recorded 1500 marriages. With the digitalisation of records all the time, it is always good to search through paid subscription sites to see whether the information is there. I’m sure that there would be a lot of people scratching their heads about marriages they are sure are in the records and have never been found. I hope this article is another stop on your genealogy journey to find out what your crafty Scottish ancestors may have done to save themselves some money and time. 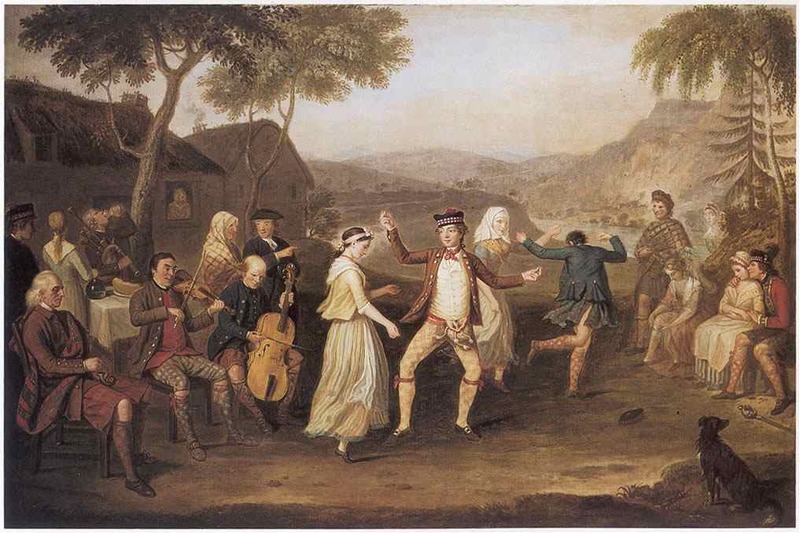 Last updated by Nicol Warren at March 31, 2015 .
irregular marriage, Scottish history. Bookmark. What to take on your cemetery hunt for ancestors?